Artists who employ the manga mode of graphic storytelling usually do not enter the category of “alternative comics,” as “manga” stands rather for successfully marketable comics, generic conventions and cross media appeal than a personal vehicle of expression and aesthetic as well as cultural exploration. The works by Singaporean artist FSc, 1 however, succeed to overcome such binarism. Partially leaning on manga, especially female manga genres, her works exhibit a fusion style which can rightly be called “alternative,” last but not least because it stays betwixt and between the existent markets and fields of criticism. Her mini-series Clairvoyance is representative in that regard. 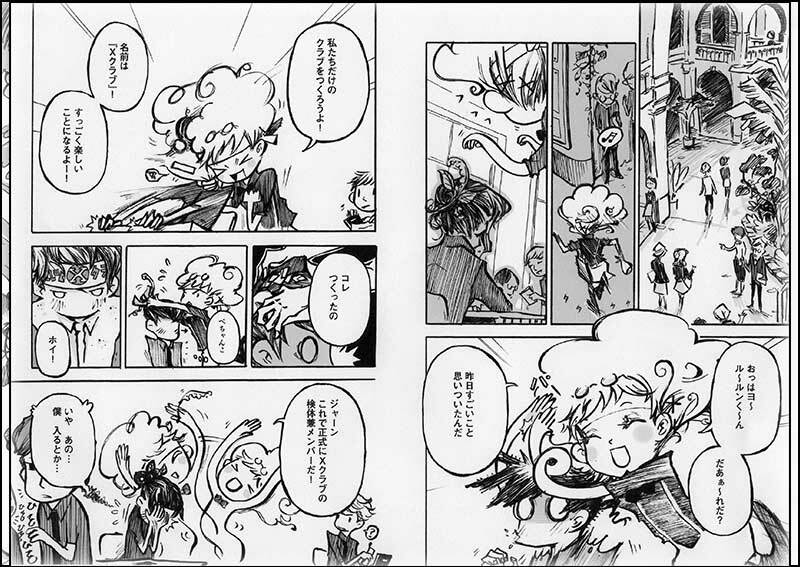 In 2011, FSc serialized Clairvoyance in Pocopoco, the webmagazine of Japanese manga publisher Ohta. Although rather alternative by Japanese standards, Ohta too clung to the established manga genres, when it labeled Clairvoyance a “shōjo [girls’] comic.” Appropriately enough, the protagonist Ruerune is a beautiful, lonesome high-school student who, at first appearance, obscures conventional masculinity with the flowers in his long hair and the checkered skirt he wears, actually a sarong (See fig. 1). Further reminiscent of Japanese shōjo manga are his big eyes and long eyelashes that may change in moments of surprise or agitation, but these changes never extend to the degree of bodily deformation (SD, or chibi in Japanese manga idiom) which his classmate and eventual friend, the girl Pi (from π, as she is a science geek), experiences repeatedly (See fig. 2). Then again, FSc’s line work is not “clean” enough to satisfy shōjo manga readers—or “too thick” (FSc interview 2014)— and some of her smaller panels look often so sketchily drawn that their content seems indiscernible at first glance. Dedicated readers may appreciate the visual challenge and the dynamism that leans as much on her energetic strokes as on her sophisticated page layouts, which interrelate panels among each other as well as panels and “underlying” page so that the reader gets dragged into a very mangaesque flow (See fig. 3). However, Clairvoyance lacked popularity with Ohta’s regular readers, and thus, the editors pushed for an untimely termination after eight chapters, that is, 142 pages. Initially conceived for a scale of at least 3 tankōbon volumes, now, any efforts have to rest, due to the contract’s respective allocation clause for five years (Fsc interview 2014). While FSc apparently fails to position herself clearly enough within the highly generic field of official manga publishing in Japan, conversely, her works seem not “local” enough to qualify for support from government agencies in Singapore (the latter being mentioned in Lim Cheng Tju’s essay which—symptomatically?—introduces only male artists). 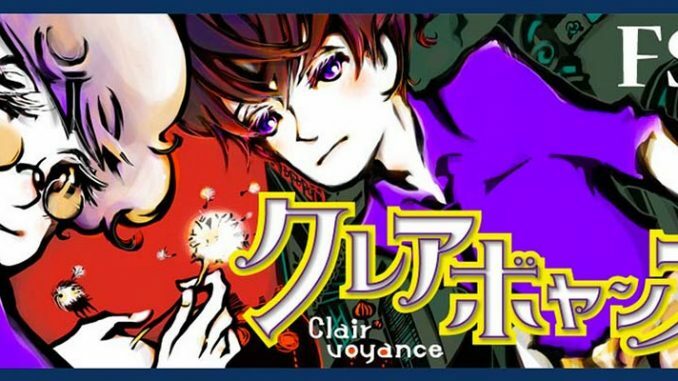 Clairvoyance contains at least some recognizable references to Southeast Asia: in addition to the sarong, kaya toast and teh tarik feature briefly; a short flashback relates the deportation of Ruerune’s mother, apparently an illegal immigrant to Singapore, back to her country; and one of the spirits whom Ruerune is capable of sensing, Song, seems to be modeled on a Thai legend (Ōgi 2014: 183). Such identifiability is rare in FSc’s works, and it can probably be traced back to an attempt by the Japanese publisher to compensate for the “non-Japanese” stylistic elements in Clairvoyance by explicating this foreignness (or non-Japaneseness) on the level of narrative representation. 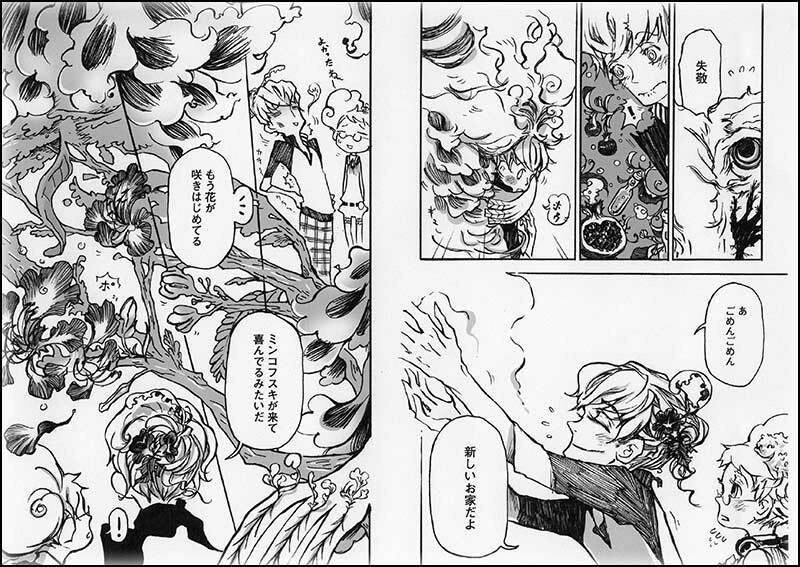 Ōgi Fusami finds “Japaneseness,” understood as shōjo-manga-likeness, in the cute elements of FSc’s work whereas she regards the creepy aspects as belonging to another genre, that is horror comics (Ōgi 2014: 181). Apart from the “Asian flavor” in Clairvoyance, the fondness for spirits, ghosts and animals rather than humans, in tandem with a preference for sad and not easily resolved stories, is a general characteristic of FSc’s work. In fact, she regards herself as a creator of “gothic comics” (FSc interview 2014). This provides a link with distinctly local preoccupations beyond any realistically represented locales. Critics, such as Tamara S. Wagner, have analyzed the enormous popularity of the urban ghost story in Singaporean literature since the 1990s and pointed out that it “… strives to integrate urban spookiness into broader social critiques by focusing on different forms of the liminal: on in-between spaces that throw up ruptures in the seemingly so neatly stratified cityscape” (Wagner 208: 58). In Clairvoyance, trees serve as such spaces. 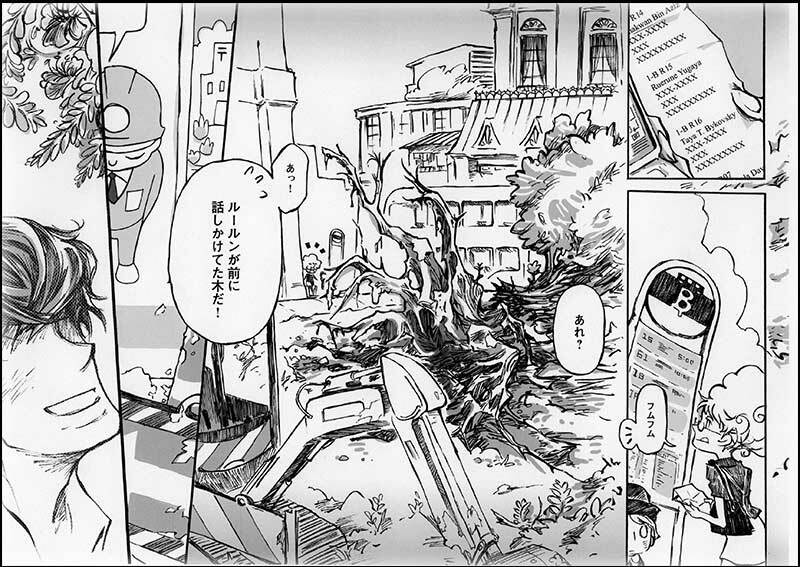 Ruerune and Pi finally realize that the outraged mountain tiger spirit who haunts them, actually resided in an old tree which is cut down for the sake of yet another development project. Against this backdrop, Clairvoyance appears to hold a truly “alternative” potential in the twofold sense of questioning the reality of Singapore’s ongoing modernization, and of doing that in a fusion style and a fantasy mode. Some might even argue that precisely such hybridization is typical of Singapore in particular and Southeast Asia in general. Whatever the case may be, efforts such as FSc’s deserve to be published and communicated. Wagner, Tamara S. 2008. “Ghosts of a Demolished Cityscape: Gothic Experiments in Singaporean Fiction,” in Andrew Hock Song Ng (ed. ), Asian Gothic: Essays on Literature, Film and Anime, pp. 46-60. Jefferson, N.C., & London: McFarland & Company.